Gluten-free salty cookies with olive and thyme, having brittle structure… Celiac patients will love its smell and taste. 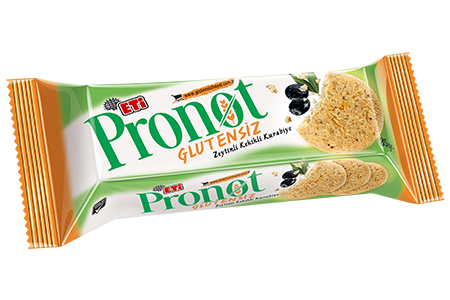 ETİ Pronot Gluten-free Cookies with Olive and Thyme support the special diet of celiac patients. Please click for more information on celiac disease and ETİ Pronot.